I caught him in the airport breezeway. 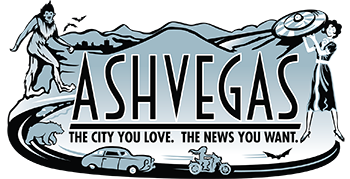 Woody Platt, the tall, charismatic frontman of the Steep Canyon Rangers, and a couple other bandmates were hustling gear out of the back of a van and into an Asheville Regional Airport check-in line. I was coordinating the Music on the Fly pop-up concert and podcast there, a monthly event the airport sponsors. Woody tells me the Rangers are headed to the West Coast for a few gigs. I explain Music on the Fly and invite him over for a listen. He says sure thing, and heads back to help bandmates Graham Sharp, Barrett Smith and Mike Guggino lug more equipment. Today’s band is 5j Barrow, a young husband-and-wife duo who just moved to Asheville. My friend Marilyn Ball had introduced me to the music of Eryn Murman and Jason Hite after having them as guests on her popular Speaking of Travel podcast. They sounded great. I reached out, we nailed down a date and today’s the day. 5j Barrow gets going, and they’re immediately captivating. They don’t have any amplification, but Hite has no problem filling the space with his big voice and driving guitar. Murman’s harmonies and mandolin fill it all out. Platt, Sharp and Smith have wandered over, just like they said they would. They’re listening intently, along with the rest of the gate crowd awaiting their flight. A few nods of approval from the Rangers and they’re off to catch a plan. Platt tells me on his way down the concourse that he wants 5j Barrow’s contact info. Sure thing guys, I say. See you soon. A few days later, I’ve circled back with Murman and Hite for a beer at New Belgium as an official welcome to Asheville. They tell me that Platt followed up and offered them a short Sunday set at the Mountain Song Festival in Brevard. The event is hosted by Steep Canyon Rangers and each year features an incredible line-up. This year’s cast includes Taj Mahal, Robert Earl Keen, Pokey LaFarge, Ben Sollee and much, much more. There was a “tweener” slot available at Mountain Song, and he offered it up. And that was that. 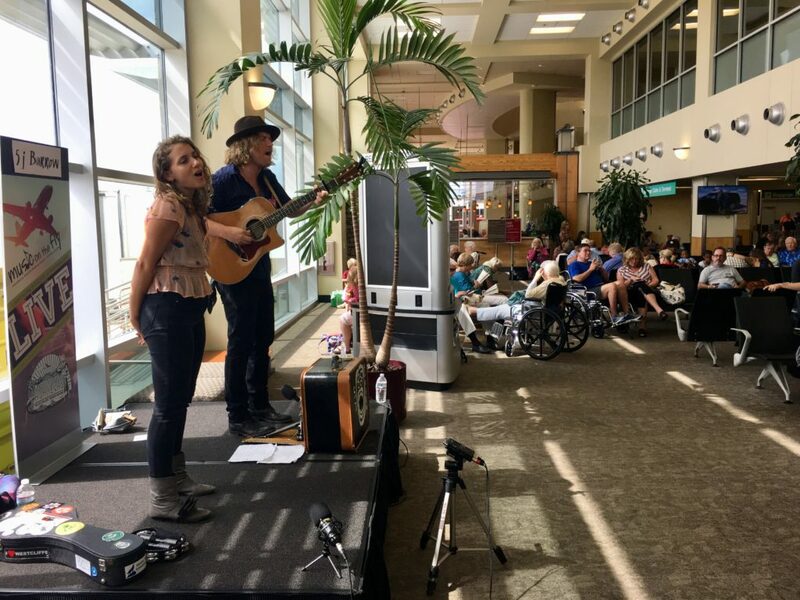 A chance musical encounter at the airport led perhaps the biggest band in Western North Carolina to offer a gig to a pair of young up-and-comers. Cheers to that. You can catch 5j Barrow on Sunday about 4:30, right after Shannon Whitworth & Tonk, and right before Taj Mahal Trio. Excellent story, Jason! Love it when things like this work out. And best of all, you did it from your heart with no expectation of personal benefit.